Anti-monarchy campaigners in Britain have criticised the hype around the wedding of Britain’s Prince Harry and US actor Meghan Markle, but the monarchy remains popular. A YouGov poll commissioned by pressure group Republic earlier this week found 66% of the 1,615 people asked said they were "not very interested" or "not interested at all" in the ceremony, while 60% planned on having a normal weekend. However, a poll published last year by market research agency Opinium found that 65% of British adults want to keep the monarchy, with just 19% supporting a republican model. And, Britain is not alone in the western world in maintaining a monarchy. As well as the countries in the Commonwealth who have Queen Elizabeth II as head of state, including Canada, Australia and New Zealand, there are 11 other monarchies in Europe. Perhaps counterintuitively, some of the countries often associated with progressive societal structures have consistently popular monarchies. Here’s a brief look at some of the other royals across Europe. Andorra has an unusual structure, which sees the principality overseen by two Co-Princes - the Archbishop of Urgell and France's head of state. The current joint monarchs are Bishop Joan Enric Vives Sicília and French President Emmanuel Macron. Seen here with his wife Queen Mathilde, King Philippe of Belgium ascended to the throne in 2013 when his father, King Albert II, abdicated. Queen Margrethe of Denmark is the first female Danish sovereign, and has been queen since her father's death in 1972. Prince Hans-Adam II of Liechtenstein and his wife Princess Marie. 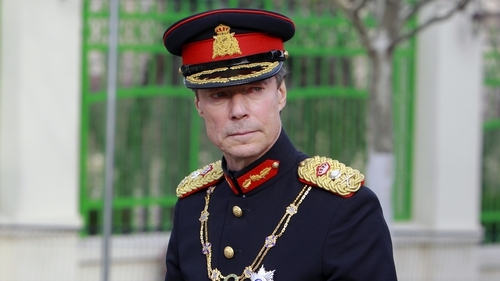 Henri, Grand Duke of Luxembourg, has held the title since 2000. He is a first cousin of King Philippe. Prince Albert II of Monaco and his wife Princess Charlene, a former Olympic swimmer from South Africa. Dutch king Willem-Alexander, seen here with his wife and Queen Maxima, ascended to the throne when his mother Queen Beatrix abdicated in 2013. King Harald of Norway, seen here with his wife Queen Sonjia on a visit to Argentina, has been king since the death of his father in 1991. Spain's king Felipe VI with his wife Queen Letizia, a former journalist with CNN. He has been king since his father's abdication in 2014. King Carl XVI Gustaf of Sweden, seen here celebrating his 72nd birthday last month, with his wife Queen Silvia and Prince Carl Philip, Duke of Varmland, Princess Estelle, Duchess of Ostergotland, Princess Sofia, Duchess of Varmland, Prince Oscar, Duke of Skane, Crown Princess Victoria of Sweden. The Lateran Treaty of 1929 recognised Vatican City as an independent state. The serving pontiff is its monarch, with Pope Francis the current holder of the title King of the Ecclesiastical State.